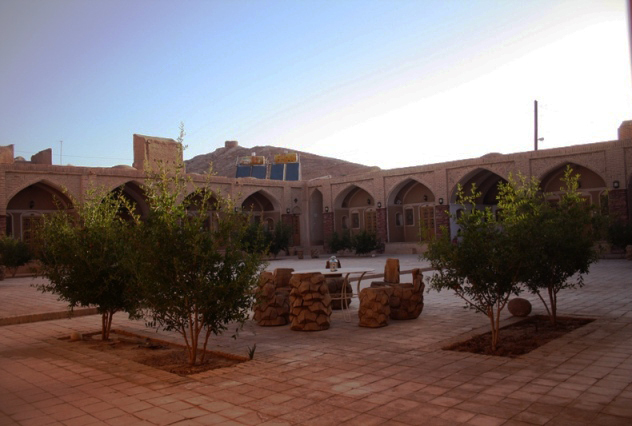 Dating back to Qajar dynasty, Anarak caravanserai is restored and changed into a beautiful and unique accommodation in recent years. Anarak is a historical city located in Nain county of Isfahan province, at the edge of the dazzling Dasht- e Kavir. The antiquity of Anarak goes back to Sassanid era and remains of a brick wall, old mosques, towers and arcs are still available in the old district of the city. Like most of Persian caravanserais, Anarak caravanserai is built with a square walled exterior and has 23 rooms suitable for 2 or 3 people. The energy required in the caravanserai is provided by the sunlight. The historical city of Anarak and this wonderful caravanserai is a popular hangout for photographers, painters, adventurers and the people who are amazed by the deep silence and the mad beauty of deserts in Iran. Traveling to Anarak is all about spending the whole day wandering through the sand dunes of desert, photographing its beauties and exploring the remains of old monuments showing the exclusive architectural style in deserts of Iran and then spending the night gazing at the starry sky and taking a rest in cozy rooms of the caravanserai, while you are far away from all the chaos of big cities. 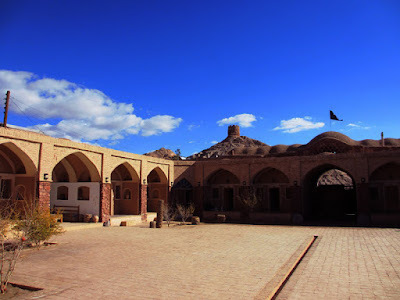 Persian caravanserai tour is one of the most popular tours of Uppersia including long walk through the desert, visiting historical villages, and spending nights in old caravanserais like Anarak, all telling you stories of how adventurous and interesting the travels through the deserts were in ancient times. A foggy heaven named Arasbaran. What makes the Stars Valley of Qeshm so special? 6 amazing castles you must visit in Iran. Meet Bakhtiari nomads with Uppersia, this spring. 5 fantastic experiences you need to have in Iran. Happy International Tourist Guide Day! Meet Shah Abbas in Maranjab Desert! What to wear as a female traveler in Iran? 6 wonderful things waiting for you in Khuzestan. Are you curious about the Salt Men of Iran? London Black Taxi in Iran. The wild and bold Caracals of Iran. The glorious Kalat e Naderi. The ultimate Isfahan bucket list. 5 amazing villages you must visit in Iran. The colors and aromas in the bazaar of Kerman. What do you know about the Blue Mosque of Tabriz? The heaven on Qashqai Rugs. The dazzling Narcissus lands of Kazerun.